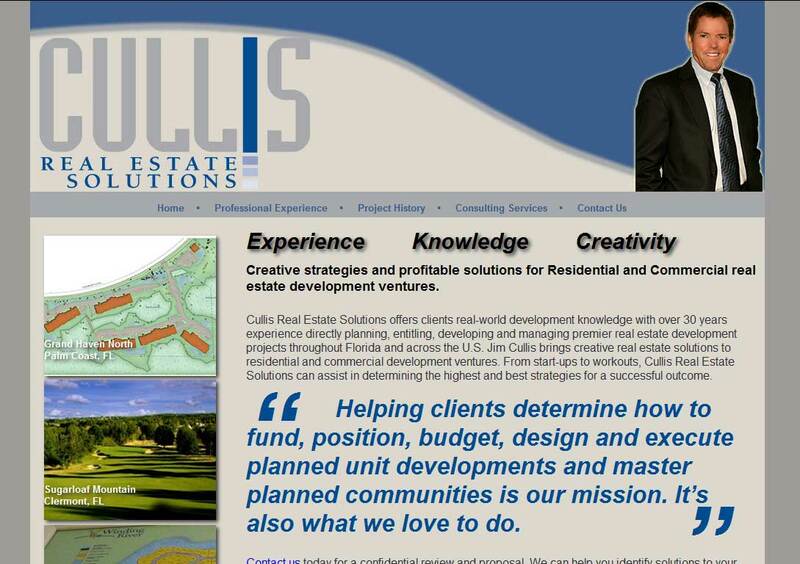 DESCRIPTION: The Cullis Real Estate Solutions website was designed by REDdot Marketing with the development by PTC Computer Solutions. CRES is involved in helping clients determine how to fund, position, budget, design and execute planned unit developments and master planned communities. You can find out more by going directly to their personal website, www.cullisrealestatsolutions.com, or contact them directly at Info@cullisrealestatesolutions.com or 386.569.8823. So many interesting posts I read here, I think you can make ptccomputersolutions.com a viral blog cast. Blogging for your clients is imperative and PTC Computer Solutions definitely knows how to generate buzz to enhance the site to go viral. Thanks.